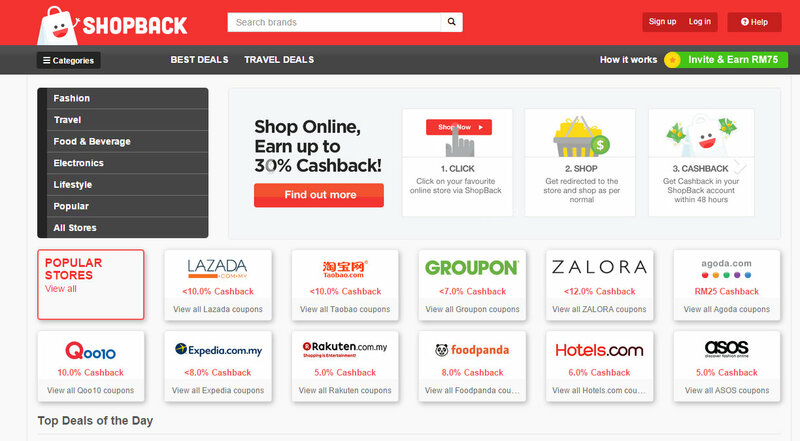 It’s Merdeka month and I bet you guys have noticed the insane amount of merdeka discounts being offered by almost every e-commerce shops you know like Rakuten, Zalora, Lazada, Groupon, Qoo10, Agoda, Foodpanda and even TAOBAO! Yes, even taobao is one of Shopback’s merchants, those who are frequent taobao shoppers like me who outsource wigs and other craft materials/ fabrics would find this deal very attractive :P You have no idea about the countless nights most cosplayers spent searching taobao for materials and other cosplay related stuff lol but now at least whatever we purchase from taobao we get cash back in return. Woots! Win-win situation for taobao-shoppers. Previously before I heard of shopback I seldom shop online (unless NEEDED) because I wasn’t getting anything for spending except maybe some occasional promotional vouchers from deal websites which I had to sendiri rajin search (more like korek kaw kaw) for it. Ever since I was introduced to shopback by my sis who is a major online shopaholic lol, I started shopping online more frequently too because shopback constantly updates me with discount codes and other ongoing promotions. The best part about shopback is, every purchase I made from the merchants under Shopback using their special links, I’ll earn back a percentage of my expenditure. And the percentage varies from time to time and sometimes it can be more than 10.0% (seen 15.0% before)! The amount I spend each time, at least I am getting back in a form of ACTUAL cash rather than just loyalty points and the usual redemption stuff. Yes, the cash back works by accumulating in your account whenever a successful purchase is made using their merchant’s traceable links within 30 days. And the amount can be cashed out to be extra pocket or shopping money, it’s super convenient as they have options like bank transfer or paypal. Shopback is available globally by the way, not only limited to Malaysia so if you are from other countries feel free to sign up to start earning your spent money :P That’s why they have the paypal option under their cashout details. Like you noticed my latest OOTDs were from Rakuten & Zalora got them all with discounted coupons under Shopback. Click here to get the best coupon and promo code from Rakuten. The promo codes can get you extra savings when you shop, in shopback it’s all about saving and getting the most out of your online shopping experience lol which we all need so badly ever since the value of our currency shrunk so badly *sobs* USD1 is now RM4!! Rakuten’s super point program where you earn back points from your purchase that can be used for future purchases from and on some days their super point earnings are doubled! That’s when Shopback comes in, they notify you whenever rakuten or any other of their supporting merchants are having promotions like that so we don’t have to sign up for so many separate online deal websites that constantly spam our emails every 2-3 hours lol. I understand that can be seriously frustrating having your inbox spammed multiple times in a day and having to clean it or it will bury our important mails. As they say sharing is caring, start shopping & earning today.